3.both set of siblings Nawawala their mothers at young age to the supernatural. 1. (2.12)"Awakened" - After purchasing illegal prutas from South America, Piper is infected with a deadly and rare disease called "Arroyo Fever". Prue and Phoebe use an "Awakening" spell to cure her, but the spell backfires with deadly results. (2.14) "Pardon My Past" is an episode from Season Two of the TV series, "CHARMED" (1998-2006). In it, one of the nalugod Ones – Phoebe Halliwell - is haunted sa pamamagitan ng a spirit from her past life. The past life turned out to be one P. Russell, a first cousin of the Halliwell sisters' great-grandmother. Phoebe Halliwell: We're the protectors of the innocent, we're known as the nalugod Ones. Phoebe Halliwell: Well, my head spun around, and I vomited split gisantes soup. How should I know? 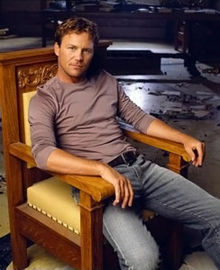 (6.17) ”Hyde School Reunion” is an episode from Season Six of the TV series, ”CHARMED” (1998-2006). It is viewed as controversial sa pamamagitan ng many fans of the show. I wish I could say that its controversy revolved around any innovative storytelling. I wish I could say this . . . but I cannot. Because ”Hyde School Reunion” is without a doubt one of the worst ”CHARMED” episodes to air on television. This artikulo is for fans of the ONE AND ONLY TRUE nalugod like myself about our paborito show. a pop quiz question ay idinagdag: Who was the first sister to be turned into something? a pop quiz question ay idinagdag: Who sinabi this line: I'm sorry. I didn't get that last platitude. a pop quiz question ay idinagdag: Who sinabi this: That's a good reason, I guess. Who sinabi that Leo was practically a walking Book of Shadows?